Exploring the intersection of engineering and entrepreneurship. Advancing precision medicine. Launching the Gender Initiative. Dedicating the Ruth Mulan Chu Chao Center. 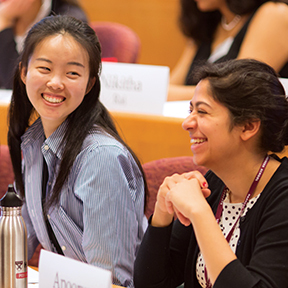 Engaging alumni around the world through The Harvard Business School Campaign. 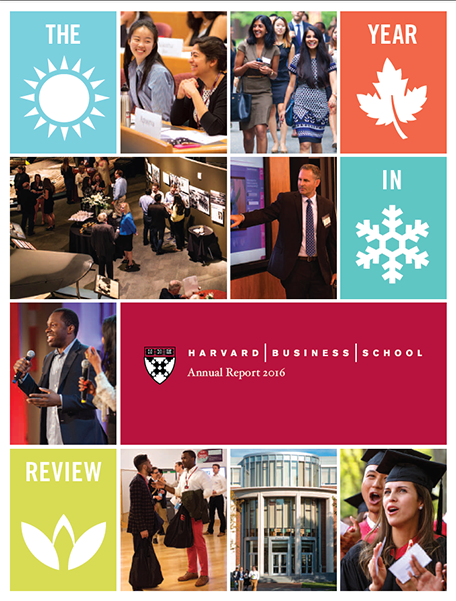 Through these and other activities, HBS strengthened its commitment to outstanding teaching, pathbreaking research, and the dissemination of knowledge, while pursuing innovative new initiatives to position the School for leadership in the 21st century. Aimed at rising juniors, seniors, and recent graduates, Peek Weekend was launched to help young women understand what business school is all about—at a time when they’re thinking about the next steps in their lives. Peek Weekend has expanded to include men and women, specifically those with a STEM or family business background. 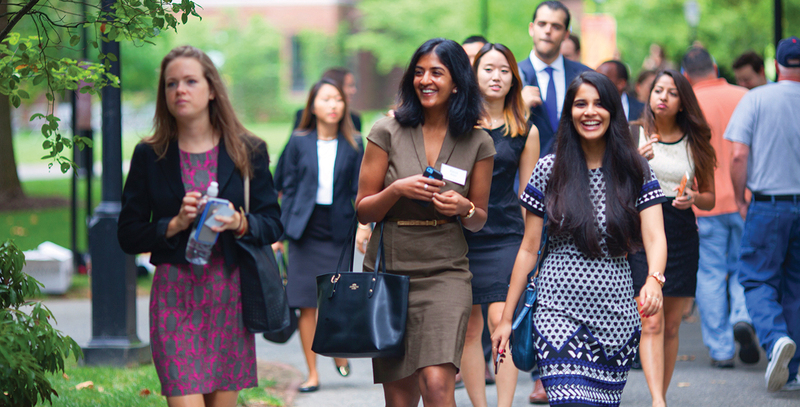 Designed to increase diversity and opportunity in business education, the Summer Venture in Management Program is a one-week management training program for rising college seniors that helps participants understand the impact they can have on their community and the world through business leadership. GloColl seeks to build an international community of faculty members who are committed to participant-centered learning through innovative teaching and course design. Combining a weeklong on-campus module and a regional in-depth case-writing workshop, educators learn how to become more effective teachers using the case method. The School is attracting an increasingly diverse student body. In the MBA Program, for example, nearly 10 percent of students are the first in their family to graduate from college. This podcast, airing every two weeks, features HBS faculty members discussing cases they’ve written and the lessons they impart. In its first year, Cold Call explored topics ranging from “Who owns space?” to digitally enabled prescription medicine to cultured beef. Alumni events were held in Seattle and Cleveland, two of six cities visited during FY16 as part of The Harvard Business School Campaign. 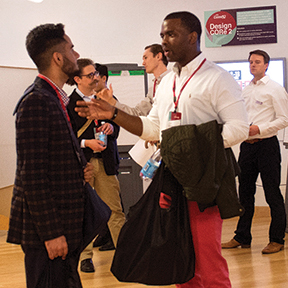 Featuring local speakers, short films, and a presentation by the Dean, the programs in each location highlighted the impact of the School and its graduates, and facilitated engagement among alumni and between alumni and HBS. 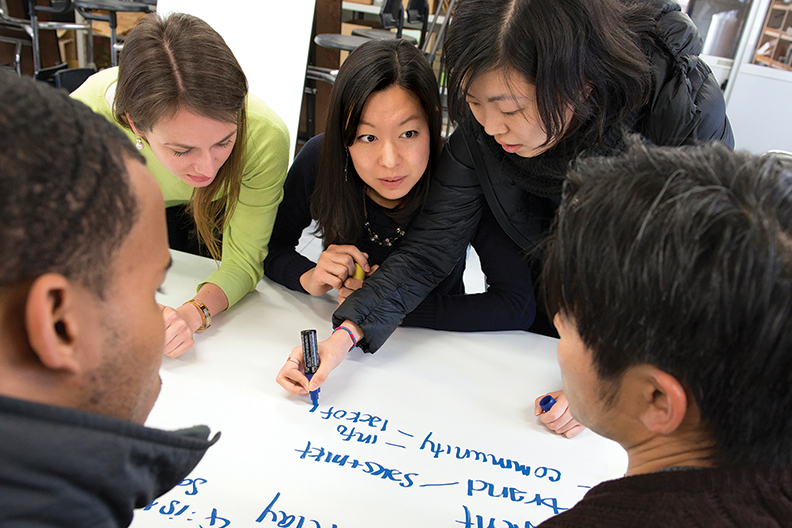 Nearly a dozen field method courses were offered in the MBA Program during 2015–2016, including the HBS Neighborhood Business Partnership, an innovative course co-taught by Kristin Williams Mugford and Len Schlesinger that enabled students to apply the skills learned during the first year curriculum while partnering with a local entrepreneur. Businesses included a vegan fast-casual restaurant, a hair salon, a donut shop, and a hip burger restaurant, and students worked in small teams on problems such as marketing, finance, sales, and growth strategy. HUBweek, a civic collaboration founded by The Boston Globe, MIT, Harvard University, and Mass General Hospital, celebrated innovation in Greater Boston at the intersections of art, science, and technology. During its inaugural year, Mitch Weiss worked with counterparts at the Harvard John A. Paulson School of Engineering and Applied Sciences (SEAS) to host “Making Robotics Fly,” a day-long exposition that showcased technology and business formation in the area of unmanned aerial vehicles (UAVs) and a research symposium aimed at strengthening ties across thetwo schools in anticipation of the SEAS move to Allston in 2020. 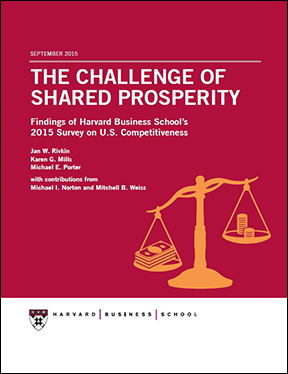 U.S. Competitiveness Project cochair Jan Rivkin discussed the findings of the fourth annual survey of HBS alumni, “The Challenge of Shared Prosperity,” which found that America’s leading companies are thriving but the prosperity they are producing is not being shared broadly among U.S. citizens. The report summarized alumni opinions on economic outcomes for Americans as well as business leader confidence in the current and future competitiveness of the American economy. The Robert and Myra Kraft Family Foundation, Inc., under the leadership of Foundation President Robert K. Kraft (MBA 1965), pledged $20 million to create an endowment for advancing precision medicine at Harvard Business School. Under the umbrella of the Healthcare Initiative, this new effort—cochaired by Richard Hamermesh and Kathy Giusti—convenes best-in-class leaders from the business, medical, scientific, and technological communities to identify and solve challenges slowing the advancement of precision medicine, disseminate best practices and models to overcome these challenges, and enable the faster commercialization of high-impact innovations. Patrick Mullane (MBA 1999) was named to head HBS’s digital learning initiative. With significant experience in building and shaping businesses, Mullane serves as the operational leader for HBX. His focus is on managing its growth and expansion in global markets and helping develop and implement a strategy to build out a portfolio of HBX offerings for individual and corporate learners. A new installation honors HBS community members, including students in the Armed Forces Alumni Association, who have served their country. 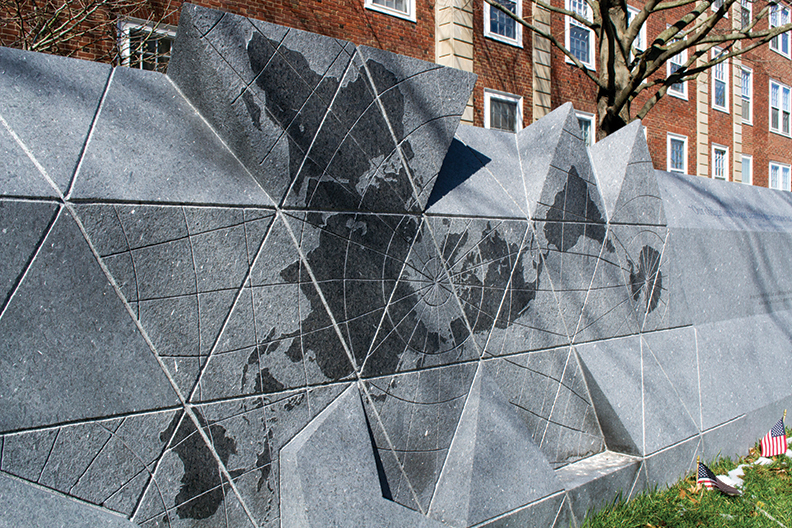 The wall, made of black granite and located along Kresge Way, features a quote from US president John Adams (Harvard University AB 1755, AM 1758) and Buckminster Fuller’s Dymaxion Map, the only flat map of the entire surface of Earth. Six outstanding doctoral students were recognized for excellence and innovation in their dissertation research. 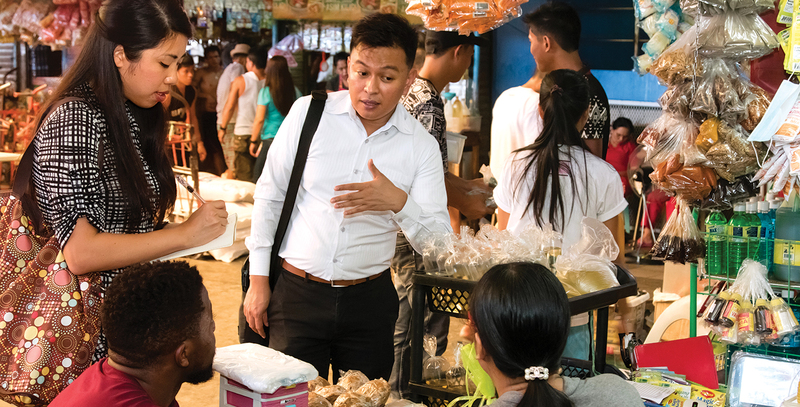 For the fifth year, all first-year students in the MBA Program tackled business problems in emerging markets around the world. Working in six-person teams, students applied the tools of design thinking (customer observation, brainstorming, and prototyping) to develop new products and services for global partner companies in locations ranging from China and Argentina to Turkey and Cambodia. Chad Losee (MBA 2013) was named Managing Director of MBA Admissions and Financial Aid. A Baker Scholar, Losee spent a year after graduation at the School as an HBS Fellow and worked on HBX and other strategic projects. He also served as a summer associate at BYU-Idaho and spent 2008–2011 and 2014–2015 at Bain & Company. “Emaar: The Center of Tomorrow, Today,” a case that explores the Dubai real estate company’s exploration of growth opportunities abroad, is published with assistance from the Dubai Research Office. In FY17, research offices were opened in Dubai, Israel, and Singapore, further extending the network of nine regional research centers that support faculty research and a growing array of the School’s activities—from MBA admissions and placement to Executive Education to alumni engagement. The Arthur Rock Center for Entrepreneurship opened a new facility in New York City to help alumni create and develop new ventures. Initial teams could reside at the Studio for up to 18 months and take advantage of programming such as founder forums, subject matter and industry expert councils, and networking events. RapidSOS: uses technology to revolutionize emergency response. Be Mixed: a natural and zero-calorie beverage mixer. FOCUS Foods Inc.: urban aquaponics farming that allows urban grocery stores to grow fresh produce on their rooftops. Barakat Bundle: a newborn essentials kit to reduce infant and maternal mortality in South Asia. BollyX Fitness a Bollywood-style fitness workout to promote good health. Eve & Tribe (pictured) focuses on revolutionizing fashion retail in Africa. StreetShares an online marketplace for the financial technology industry that pairs small businesses with potential investors. Construction began on Klarman Hall, a large-scale conference center, a performance space, and an intimate community forum slated to open in fall 2018. Made possible by a gift from Seth (MBA 1982) and Beth Klarman, the new facility—designed by William Rawn Associates—will be LEED Gold certified and will incorporate state-of-the-art technology. 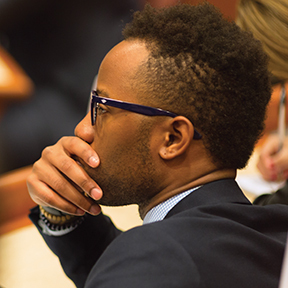 Nearly 500 students from more than 20 countries met on the HBS campus to participate in faculty-led case studies, build relationships, hear a panel discussion on the future of online education, and learn about HBS. All were current or previous participants in an HBX offering. By June, HBX had served more than 8,000 learners and work was underway on three new programs—finance, negotiations, and becoming a better manager—planned for launch in 2016–2017. As the strong turnout for ConneXt demonstrated, engagement with HBX continued to be high: completion rates for CORe, for example, remained on average over 80 percent. Under the direction of faculty chair Robin Ely, the Gender Initiative is a new effort to support research, teaching, and knowledge dissemination that promotes gender equity in business and society. 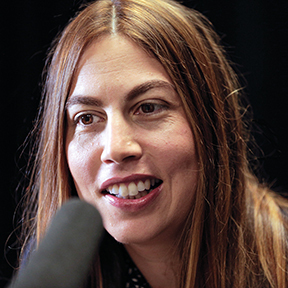 “We want to ground discussions about gender in rigorous research so that people can make better-informed decisions for themselves, their families, their companies, and their communities,” Ely remarked at the Initiative’s launch. Harvard’s first Impact Study finds that nearly 40 percent of alumni have launched more than 146,000 for-profit and nonprofit organizations with an estimated $3.9 trillion in annual revenues and have created 20.4 million jobs around the world. The study aimed to quantify the economic and social contributions of the University’s graduates and looked as well at board service and volunteerism. 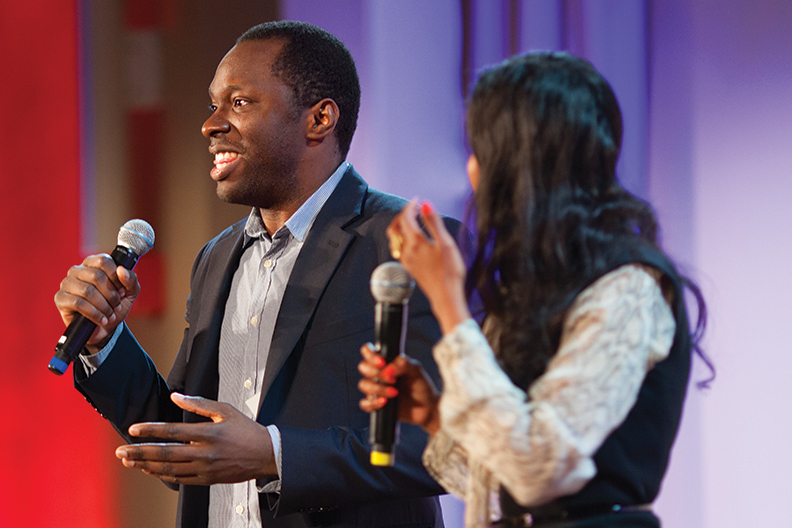 Survey results found that HBS alumni created 43,500 ventures with $2.4 trillion in revenues and 10.6 million employees. 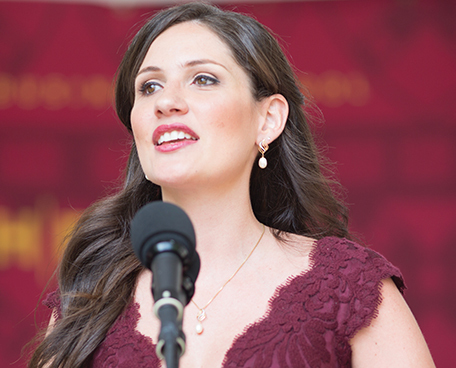 During the Class Day ceremony, student speaker Marcelle de Souza Goncalves Meira (MBA 2016) spoke about her experience at HBS following the death of her husband and classmate, Pedro Meira, in fall 2015. Former Bain & Company managing director and Bridgespan cofounder Tom Tierney (MBA 1980) reminded students it is more important to build a life than a resume. 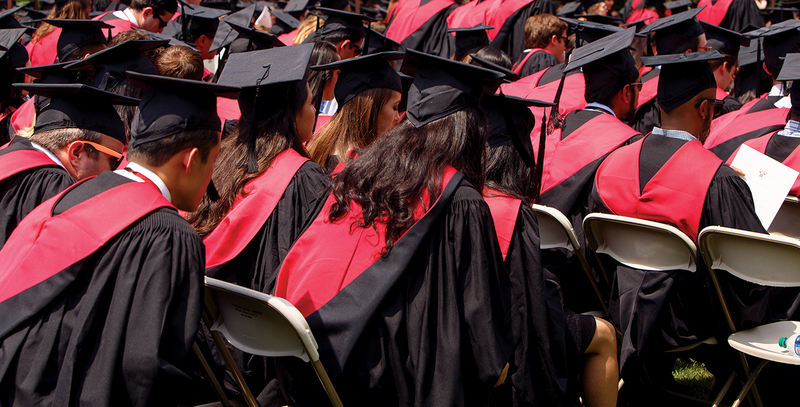 HBS awarded the MBA degree to 922 students at its 106th Commencement. In the Doctoral Programs, 12 students received the DBA, and 10 others graduated with the PhD, granted in collaboration with the Harvard Faculty of Arts and Sciences. John H. McArthur (MBA 1959, DBA 1963, and Dean of HBS 1980–1995) was among the recipients of the Harvard Medal, awarded since 1981 by the Harvard Alumni Association for extraordinary service to the University. Four faculty members were recognized by students for their excellence in teaching in the MBA Program: Julio Rotemberg and Gunnar Trumbull (Business, Government and the International Economy) in the Required Curriculum, and Kristin Williams Mugford (Creating Value Through Corporate Restructuring) and Matthew Weinzierl (The Role of Government in Market Economies) in the Elective Curriculum. Abdulaziz Albahar, Sara Gentile, and Needham Hurst received the School’s Dean’s Award. The annual award celebrates the extraordinary achievements of graduates who have made a positive impact on the School, University, or broader community. The School’s top honor was awarded to graduates who made significant contributions to society as well as the world of business, while upholding the highest standards and values. Made possible by a gift from a Dr. James Si-Cheng Chao and Family Foundation, the Ruth Mulan Chu Chao Center was dedicated and opened to the HBS community on June 6th. 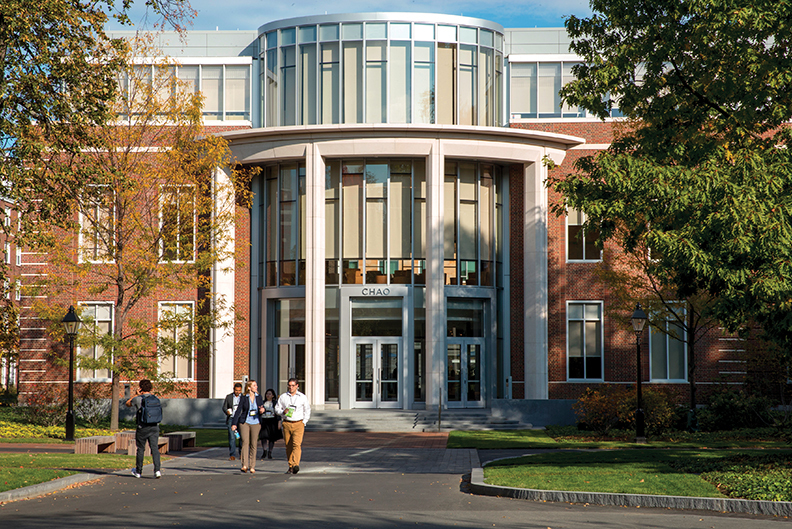 The Executive Education facility will serve as a gateway to the School for the more than 10,000 executives from around the world who attend programs at HBS and as a vibrant hub that enables them to convene with one another, with faculty, and with students from the MBA and Doctoral Programs. Faculty cochairs Juan Alcacer and Willy Shih, with Europe Research Center Executive Director Vincent Dessain, took 12 faculty members representing diverse academic units to Munich for meetings with 11 companies. They explored how small and mid-sized companies prevalent in German-speaking countries—the Mittelstand—remain so competitive globally, particularly in emerging markets, and how they have managed to innovate and rejuvenate themselves. Firms visited included fine-writing and art products giant Faber-Castell and ARRI, the world’s largest manufacturer of professional motion picture equipment. 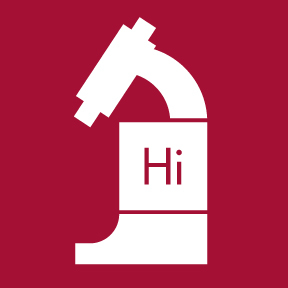 Work begins on the Pagliuca Harvard Life Lab, a new facility that will offer shared space for high-potential life sciences and biotech startups founded by Harvard faculty, alumni, students, and postdoctoral scholars. With support from Judy (MBA 1983) and Steve (MBA 1982) Pagliuca and employing a unique modular design, the facility could be quickly assembled to open in less than six months.